Koreans have been doing things that other developing countries have always desired of, be it high-speed internet or innovative products. They have it all. A country as small as Korea has proved to be a cashless economy in a very short period of time and that too with commendable ease of business. Disrupting the business of developing countries by launching cheap and innovative products. By rendering world class services and by making things easy for the exporters in their countries. We should learn from Korean business to help our own business grow. Products manufactured in Korea are good and innovative, a perfect blend of latest technology. The products are accepted all over the world and are imported from Korea to other countries. They have these built-in research departments in most of their facilities all over the world and of course in Korea. 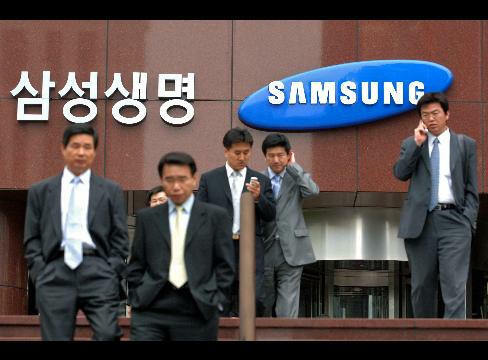 These help Korean companies like Samsung to come up with the latest technology at the right time. These built-in research centers help the companies to bring innovation in their products at cheaper rates and help them sell at cheaper rates. People of Korea are so dedicated that they are defined as workaholics, they work for 44.6 hours per week beating the world average by 11.8 hours which stands for 32.8 hours. People are working with all that they have got and they even study very hard and thus they are intelligent as well. These qualities in the human resource working there are one of the biggest reasons for their success. Every country should focus on their human resource for good. The more productive you are the better job done. One major contributing factors in their success is that they are tech-savvy and work with the technology with ease which leads to efficiency in their organizations. There is so much to see in Korea, there is an outrageous internet penetration of 82.7% which enables a great communication channel for the population of Korea and a big boon for them to connect the whole world. Highly technologically sophisticated people of Korea help in developing a local market for the high-tech products which enables the companies to bring more tech-savvy products. The economy of Korea is highly dependent upon plastic money hence making Korea’s economy strong and theft free. There are credit card machines installed in almost every store, cab, street shops etc. This has helped the government of Korea in their taxation and has helped the shopkeepers out of any theft possibility. This has made the consumer experience better. Now businesses do not need to make payments in cash which is prone to theft and make a better marketplace for foreign companies. Service standards are just unmatchable, they are so polite and calm that they just delight the customer experience. They work all day but the smile on their face can bring a dead back to life. They have a very good attitude towards everyone which helps them retain their dominance in the world of training air hostess from all over the world. We should learn from them to keep calm and carry ourselves in a way that delights everyone we serve. These are the five things that we should learn from Korean businesses. These things will help us grow our business.